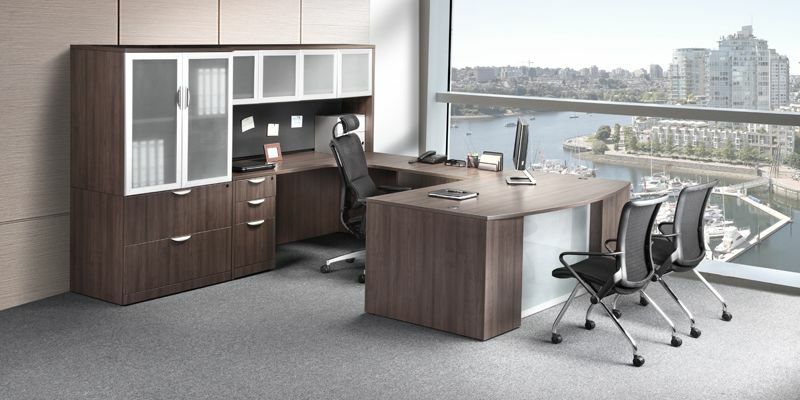 Every work space needs storage, and shelves help you stay organized while also adding to the aesthetics of your office. Choosing from a multitude of styles and options, however, might be tricky. Instead of grabbing the first unit you see, ask yourself a few questions to narrow the field. What will I put on my shelves? Standard open shelves are ideal for things you access often, but you may want a bookcase with glass doors for showing off your Oscar trophy. Confidential files or anything you don’t want on public display are best secured by solid doors, maybe with locks for extra security. How much room do I have? Huge shelving units are impressive, but in a small space they’ll restrict movement. Consider your floor area and existing furniture, and then choose shelves that will allow you easy access without cramping your style. Don’t forget to measure before you head to the store. What will go with my current furniture? Whether you want your new piece to blend in like one of the family or stand out as a statement, we can make it happen. Go with dark patterned laminate, pristine white, or a mix of colour and metal. Whatever you choose, we’ll make sure you leave happy. Visit Source today and get the lowdown on all your bookshelf options.